Oil changes for diesel engines now are available at 130 Love's Truck Tire Care locations as the network continues to add services for professional drivers, parent company Love's Travel Stops & Country Stores announced. “Routine maintenance is vital for our customers,” Dan Jensen, director of tire sales and services for Love’s, said in a statement. “Our customers have been pleased with the tire and light mechanical services we’ve offered, and they’ve asked for more. Our job is to help them maximize as much downtime as possible. 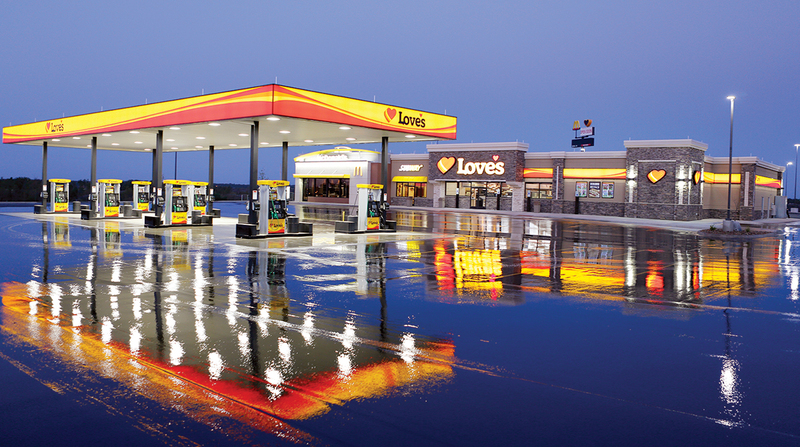 Love’s has more than 270 Love’s Truck Tire Care facilities; the majority of locations are expected to be oil-change ready by the beginning of 2018, the Oklahoma City-based company said. Last year, Love’s started performing light mechanical work, such as wheel-end and suspension repairs, and air conditioning and exhaust systems, according to the company. Nearly all Love’s locations with a tire care center now offer light mechanical services. Love’s has more than 430 locations in 41 states.